There persists some level of ambivalence in industry regarding the deployment of 3D printed parts for end-use applications. A key reason for this hesitation is the notion that 3D printing technology is still not considered ripe as a manufacturing tool. Even for high-end metal processing systems, the industrial attitude is still one of caution; and that’s driven by different factors including but not limited to media reports, material, metrology, quality assurance, access to the technology and the general lack of comprehensive data to support the technology. It therefore goes without saying that there is a need to provide industry with supportive data as well as demonstrated manufacturing ability to 3D-print parts that meet design specifications. Industry needs to accept that additive manufacturing tools such as 3D printing technologies are instruments technically endowed to handle mainly tasks involving low volume rapid manufacturing and mass customisation. 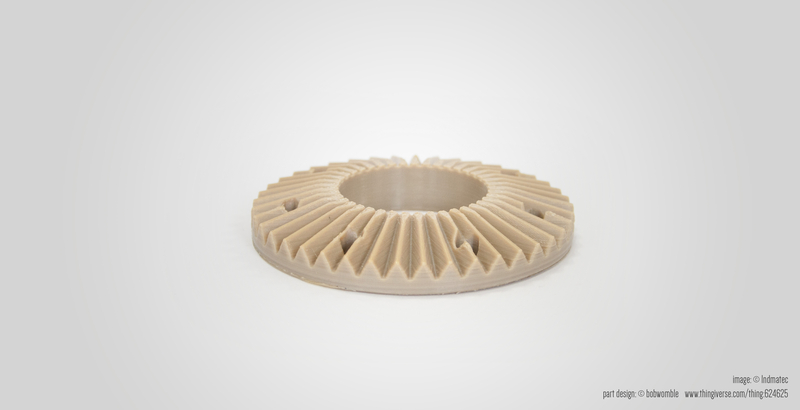 The key advantage of enterprise 3D printing is to produce the first real parts at low cost and also shorten the overall time from concept design to part deployment. In view of these facts, materials as well as part quality must play a central role in our quest at persuading industry to embrace the manufacturing-preparedness of 3D printing technologies. 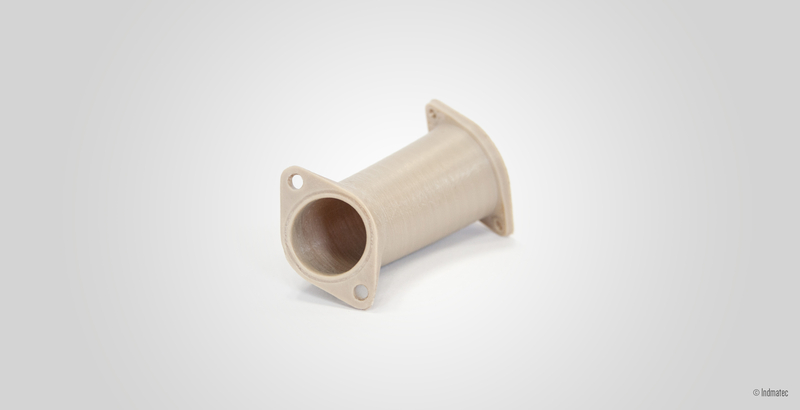 The ability to 3D print materials - such as polyether ether ketone (PEEK) – that meet extremely demanding engineering requirements (high mechanical toughness, corrosion resistance, wear resistance, chemical inertness and UV resistance) is a unique manufacturing opportunity. Functional and structural part designs that have geometries of complexities difficult to create using conventional manufacturing methods (such as injection moulding and CNC milling) can now be fabricated using 3D printers employing the barest minimum production steps. The diagram shown in Fig. 1a, b illustrates a PEEK part fabricated using an Indmatec HPP 155 3D printer then fitted with metallic connection nozzles in a post print step. This printer has been especially designed for processing high-temperature polymeric materials. Its mechanical performance together with the software that makes it possible to generate and precisely execute the printing plan have been extensively tested to guarantee PEEK parts of high quality. The part in Fig. 1 is a prototype multi-channel mixing column printed in section to reveal internal features. It has a surface structure (Figure 2) as well as internal walls characterised by fine interfaces created by the layer on layer deposition of PEEK melt on stress-free surfaces of solid PEEK. Edge zones of the part are well defined ,confirming the nature of fluid mechanics that precedes the melt solidification process. Clearly the phase transformation processes namely nucleation and growth of crystalline domains in the melt, the solidification rate as well as the rate of heat dissipation from the solidified PEEK structure are adequately controlled during the printing process thus making possible a high quality printed PEEK part. The PEEK parts shown in Figures 3a-d were also printed using an Indmatec HPP 155 3D printer. The surface qualities of these parts attest to the engineering stability and reliability of the HPP 155 printer. All the parts represent functional components applicable in the chemical technology sector. Computer simulation efforts in the areas of fluid dynamics, rheology and chemical process studies have in the past 30 years dominated developmental activities in the field of process engineering. Although this approach brings with it valuable amount of cost savings on financing and time, there remains a need to physically model unit operations or unit processes to overcome design-based constraints irresolvable using computer -aided tools. For this reason process engineers still resort to building pilots and miniature plants to test their designs in real life circumstances. This is where a manufacturing tool such as 3D printing can play a profoundly decisive role. 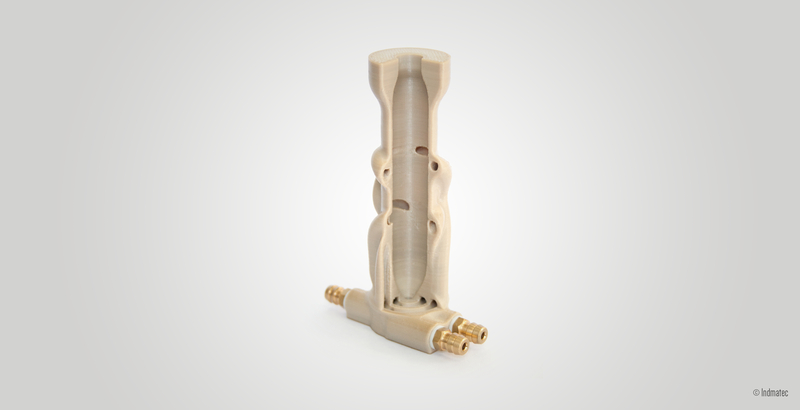 By 3D printing the hardware needed to build a miniature or pilot process plant engineers can save huge amounts of time, computational effort and investment cost into plant development. Plant elements (Fig. 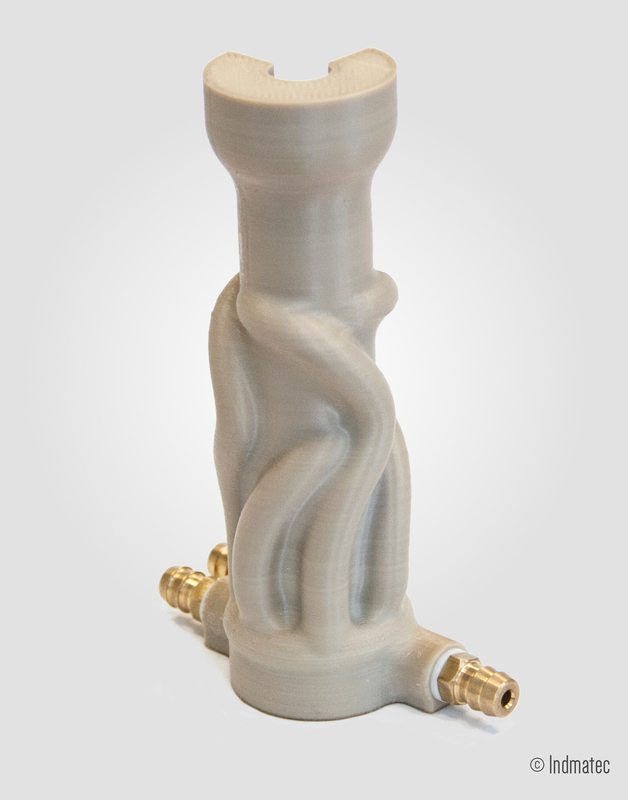 4) such as separation units, compressors, storage tanks, pipelines, pumps and valves can be 3D printed at small scales and tested as real functional parts in plant development projects. 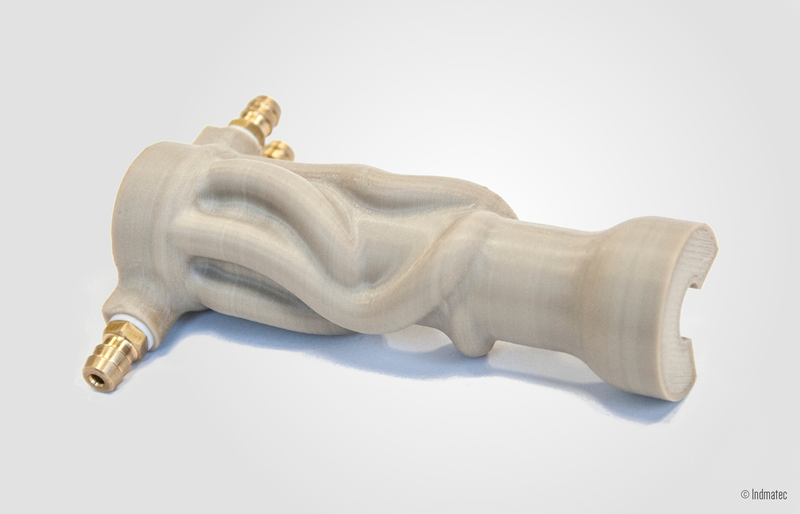 Joints, connection points or locations where different parts are coupled can be eliminated simply because it is possible to build the entire contraption of plant elements in one piece using a 3D printer. For example, PEEK is a material with properties that make it an attractive technical asset in chemical process plants. It can be used for reaction vessels loaded under extreme pH environments. Its structural stability also makes it attractive in oil & gas applications. 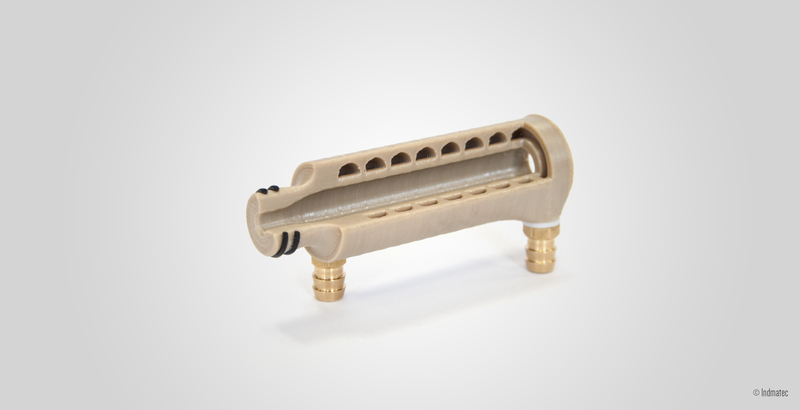 The fact that 3D printing technologies are today capable of fabricating metallic parts, technical ceramic parts and high temperature polymeric parts support the unique development of this manufacturing tool and the outstanding opportunities provided to industries to design highly specialised parts with the hope that their manufacture is possible. Data provides the confidence needed to anchor 3D printing technologies as a mainstream operation in the field of manufacturing. However, the mass of technical evidence needed to inject trust for 3D printing in industrial applications is far from adequate. Some of the several reasons why this is so are because: machine producers are not disclosing the entire information about the quality of parts fabricated from their 3D printers; often only data capable of inducing commercial success is published; the majority of research-based groups using 3D printers in their labs are not testing printed parts for performance, rather they are focused on prototyping to meet form and geometric requirements; and a big section of the 3D printing user group is composed of players from the maker-community acting as hobbyists often with little or no access to test facilities needed to give credibility to the valuable development work going on in the field of 3D printing. Thus the fact that some machine manufacturers are secretive about test results from parts fabricated from their machines raise questions about quality assurance, reproducibility of properties in 3D printed parts, reliability of the 3D printing process and of course on the existence of measurable parameters for bench-marking 3D printed part integrity. In the past five years there has been an interest within the field of additive manufacturing to explore the processability of materials used in safety-critical applications. Fibre-reinforced polymeric materials, composites materials containing nano-materials such as carbon nanotubes, advanced materials such as shape memory alloys and materials used in human implant applications such as titanium-6-Al-4-V (Ti6Al4V) and PEEK are key amongst such materials. For a relatively new manufacturing technology such as 3D printing, the threshold for acceptance is understandably set high because there is suspicion, caution and a general sense of uncertainty towards new habits, methods or processes in a rather conservative industry like the manufacturing sector. That said, experimentally generated data which allows for the interpretation of the performance of 3D printed part needs to be published. 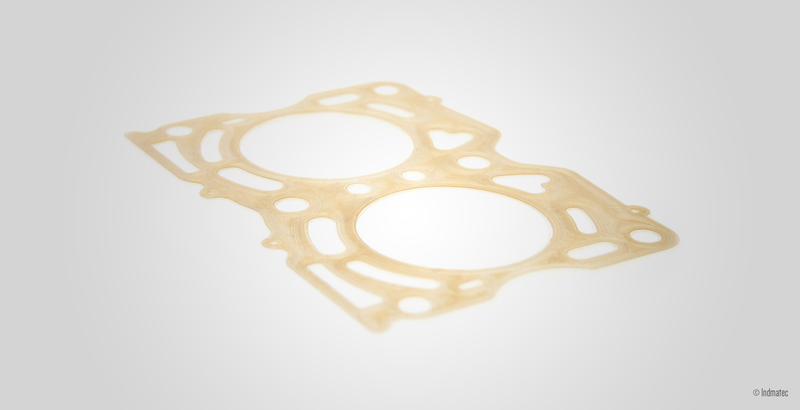 In vacuum technology where chemical inertness, high strength and outgassing are critical issues, PEEK has found application in the areas of: sealing, gaskets, material for low load bearing structural components and as substrate for active agents. In one study, when baked for 12 hours at 150°C prior to testing in vacuum condition, a 3D printed PEEK part exhibited outgassing rate of 4.1x10-11 mbar l/cm-2 s-1; a value falling well within the ultrahigh to extremely high vacuum range. A residual gas analyser (RGA) scan on PEEK samples to determine the kind of molecules being outgassed revealed the main gas species observed were hydrogen water and carbon dioxide; most likely from the hot filament in the RGA. There is a place for 3D printing/additive manufacturing within the chemical process industry; we need to work at identifying this niche. 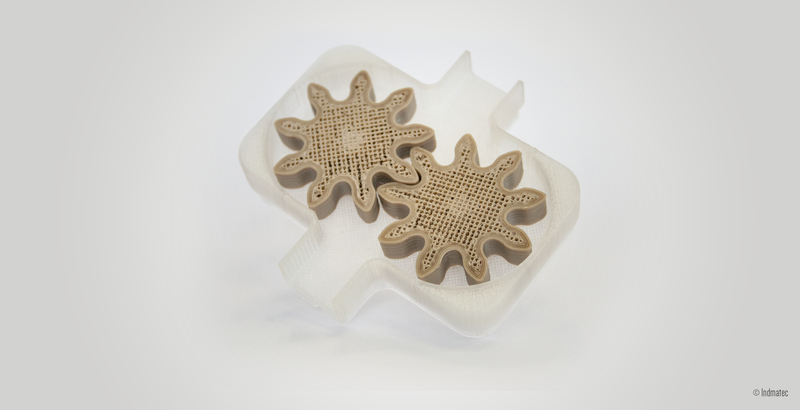 In the medical sector 3D printing tools are already being used for patient-specific implant production applying data from MRI or CT scans of the patient as input to the 3D printer. Can computer-aided models of process plants be re-sized and 3D printed? Can we enhance our digital workflows with design features and attributes that will make it possible to 3D print models of plants and test run the plants? Can 3D printers be used for spare-part fabrication to keep our ageing plants running or for fabricating newly developed component designs fitted to improve on plant performance? The authors believe there is a practicable opportunity to do new things in plant design, operation and optimisation using 3D printing technologies.